Charlotte Bellamy, Gaetana Ebbole, Kent Burkhardsmeier & Paulo Valdivia. Can it be captured & if so how? 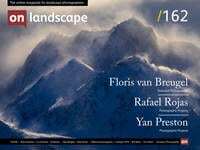 The role of realism in photographs, as discussed in Guy Tal’s recent article on the morality and realism in photography, is as provocative as it is elusive. Guy’s article, whilst impeccably written and well received, stimulated debate and discussion both on our website and amongst many of my colleagues. I wanted to express some of the ideas and reactions I had on reading the article and try to dig out what it is about an “anything goes” default position that I find disturbing. The most obvious and first point to discuss is possibly the biggest red herring in the whole discussion of truth/realism in photography, and that is post-processing. There seems to be a widely held view that no post-processing is equivalent to truth and the more post-processing you do, the more your work veers away from reality. This view is responsible for more arguments and dissent in the photographic community than any other. The problem with this argument is that some photographic post-processing can make images more truthful and some images with no post processing can be quite deceiving. The problem with this argument is that some photographic post-processing can make images more truthful and some images with no post processing can be quite deceiving. For instance, the use of white balance to make an image match what the eye saw brings an image closer to a representation of reality whereas images rendering weak aurora displays as vivid green have led many an arctic visitor to feel deceived and ultimately disappointed (more about this in a future article about the ‘truth of aurora photography’). Another example of the way a straight photograph lies is the use of wide angle lenses. The eye does not see like this and early viewers of photography were confused at the resulting images. However, using warp distortions to fix the perspective of a fisheye lens could be perceived as making it more truthful. In short, global vs local post-processing, cloning vs none, saturation levels etc are not 'bad' in and off themselves. It's always contextual. Modern viewers of photography are a lot more savvy about what is ‘normal’ in terms of post-processing. We see so many images that have graduated filters to make the sky a bit darker, sun stars due to lens aperture choices, seeing into shadows that would perhaps be almost black in real life. This has been going on since the early days of photography and yet we don’t think these are ‘lying’ as such. So, what is a better foundation on which to discuss the role of ‘truth’ and photography? In my opinion, a much better criterion is, perhaps, the perceived feeling of deception in the viewer. The viewers feeling of deception is at the heart of most of the arguments we end up having when we’re talking about realism and photography. This negative reaction is at the heart of most of the arguments we end up having when we’re talking about realism and photography. This is obviously subjective and will vary from person to person. However, let's analyse some situations from this perspective. Before we do, let me be clear that I don’t intend to relate any feeling of deception in the eyes of the viewer with an intent to deceive by the photographer! There is a term used to describe the expectations of a viewer when presented with something. This term is the “implicit contract” and in legalese terms, this is the ‘fair’ expectation that what you are being presented with meets certain criteria even though there is no explicit contract. For instance, when people first found out that many of the photographs on the fronts of fashion magazines had been manipulated heavily to make the models seems slimmer and smoother of skin, the typical person felt cheated or deceived to some extent. There was a broad assumption that what was presented was inherently truthful. Even though there was nothing in the magazines that promised to represent their models truthfully and no intent to deceive, there was an implicit contract between the magazine producers and the readers that this was so and when this contract was broken, the magazine’s readers felt deceived. This implicit contract is really all about managing viewer expectations. If you think your audience is going to expect a ‘straight’ photograph and you present them with a heavily post-processed one, they will possibly react negatively when they find out. Likewise, you can post a straight photograph of an amazing sunset on a website known for it’s OMG! Wow! Digital Art concoctions and you shouldn’t be surprised if people yawn at your photo in comparison with its neighbouring confections. So, were a photographer to want to honour this ‘implicit contract’ with their viewers, the biggest hurdle to overcome is to work out what their audience accepts as ‘non-deceptive’ photography. This raises a pretty big hurdle - what does the average person think photography really is! One of the aspects of Guy’s article revolves around the definition of photography, calling on dictionary and encyclopedic quotations. These sorts of definitions should be handled with caution as there is a great deal of difference between the ‘bounds’ of what ‘could’ be considered photography and the general layperson’s idea of what photography is. In fact, in other artistic practices, there are quite rigid guidelines that bound what makes a watercolour or an oil painting. Some purist watercolourists would baulk at the use of gouache to lift their whites (body colour) and the addition of oils to a watercolour painting would cause apoplexy in some quarters. So perhaps we need to call some works that have been heavily manipulated and ‘painted’, “mixed media” or “digital art” instead of photography? Personally, I don’t think it matters. Arguing the bounds of word definitions is a form of sophistry that has never really solved anything. However, I do think that there is a point at which many people would say an extensively processed image breaks the accepted idea of what a photograph is. Whether this then becomes Mixed Media or Digital Art is irrelevant but they certainly warrant an explanation if the images appear in the context of photography and we want to manage our audience's expectations. There is a small problem in trying to work out where these boundaries sit anyway. For example, different audience groups will have different levels of acceptance of manipulation/deception and additionally, the context in which the image is found further informs the audience's expectations. For instance, an older audience may well expect a photograph to be fairly ‘straight’ whereas a younger audience may accept that photoshopped pictures are becoming the norm. Also, if an image is found in a guidebook for a national park, the images therein would be thought to have a level of veracity that perhaps would not be expected in a wordless ‘fine art’ portfolio. What Guy has done is to work hard at building an audience that has an understanding of where his work is coming from. He has taken them on a journey where they accept the work he creates because it is Guy they have invested in and not necessarily the work itself. Artists may still find it difficult to carry all of that audience with them should they change approaches suddenly, however. (witness the crying and wailing that went on as Radiohead developed their sound over their first five albums). Is there a problem with breaking an audience's implied contract? A bit of a cop-out answer to this one. “Not Necessarily”. For one, most people who view your images won’t have a chance to compare things with the location or object you’re are photographing and so they won’t ever feel deceived. However, should they feel like this on one of your images, they will start to doubt the others in your portfolio. This isn’t the best way to develop a relationship with your audience. If you’re happy with what you are doing and are not pretending that what you are presenting is anything other than what it is (both implicitly and/or explicitly) then no one is going to be harmed. In fact, the biggest issue regarding this management of expectations is when presenting images in public forums alongside other images. For instance, if you are presenting images on a group website where the usual working practice is ‘straight’ photography, you might want to think twice about managing expectations if your work departs from this norm (i.e. make a note of how it was created). Also, if you are a straight photographer and wish to post on a forum that typically posts work tending toward the‘digital art’ category, don’t be surprised if you don’t get as many wows and omgs as anybody else on the website. If what your photograph is ‘of’ is important and you wish to portray how this is important to your audience, I believe that a certain level of respect for both the subject and your audience can go a long way. Anything that breaks the perception of truth in your photographs is a crack in your audience’s relationship with both yourself and the subject of your photographs. Given the ability for most individuals to decide at what point the manipulation of a photograph has begun to deceive, and then a point at which it exceeds the bounds of their acceptance of what a photograph is, we can say that for a particular population, there is a rough consensus of what is acceptable photographically. The problem is that this is a very ‘soft’ definition. Some people can accept a large amount of manipulation without feeling deceived. Some people have a very sensitive trigger and feel deceived at even a slight saturation adjustment. The majority of the population fits in the middle ground between these two extremes though and in most cases, the photographer themselves instinctively knows when they have gone so far as to ‘disturb’ the typical viewer. It doesn’t take much imagination to pretend you’re in a gallery, explaining your photograph to the local ranger or guide and imagining their reaction. It doesn’t take much imagination to pretend you’re in a gallery, explaining your photograph to the local ranger or guide and imagining their reaction. If you can imagine yourself explaining your work to these people, who know your subject so well, without feeling embarrassed in any way then you’re probably on the right track (or you’re a sociopath!). The first is where the picture is used ‘as is’. I.e. The transparency or a ‘straight’ print from a negative. This is the ‘gold standard’ and yet isn’t quite as honest as it seems. Only the transparency is untouched really (and then you'd have to choose E100G which isn't available anymore - Velvia 100 is out of the question). The ‘straight’ print is still a choice of contrast and tone (never mind compensating development etc) and in the world of digital, it should be fairly obvious that this doesn’t really exist. It could said that ‘as untouched as possible’ works is for digital if you take a "straight out of camera" photograph e.g. perhaps only global adjustments. Not a realistic approach at the end of the day though. The third is the level which I’m talking about here which is subjective and pivots on whether the viewer would feel deceived if they knew the full provenance of an image. This last is a tough one to define but people inherently know it themselves when they encounter it. This isn't to imply that photographs that don't fit the above are dishonest - as I've said previously, it's all about context. An example raised in discussion with another photographer is whether an ICM photograph that was generated on a computer from old 'straight' photos is dishonest. Well, encountered on it's own there are no issues as there is no context to suggest anything either way. If it was shown alongside other work that was ICM then there is the scope for an audience to feel deceived? Why should the way the image is generated make a difference to the audience? Well, that's at the heart of the nature of photography. The end result doesn't stand alone, it has the baggage of creation, assumed or explicit. I just want to end by saying that I don’t think any level of manipulation of a photograph is inherently wrong. The artist should have full creative freedom in the production of their works and if that includes the radical changes to the subject of the photograph then it is important that this is respected. There are no hard lines implied by any of my ideas but for there is an implied contract between the photographer and the viewer (depending on context, and audience as above) that goes something like this… “Here is something I saw and then photographed” with the hopeful reply from the viewer “I believe you”. In other words, even in the images where I have extensively post-processed them, I strive to remain honest and hope that my audience understands this. I'd like to know whether you have boundaries in your own photography and how you manage audience expectations. Let me know in the comment section below.